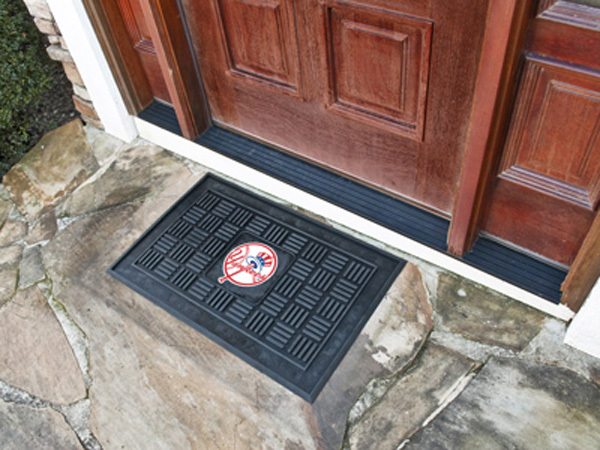 Wow your guests with door mats by FANMATS. Adorned with your favorite New York Yankees logo, these door mats make a statement while keeping dirt and mud from entering your home. Heavy duty vinyl construction ensures a durable mat. Deep reservoir contains water and debris. Rugged ribs scrape shoes clean. Your favorite team's logo is molded in 3D construction.